PAPi PABLO Live at LIGHTS OUT November 24 in Fort Worth! 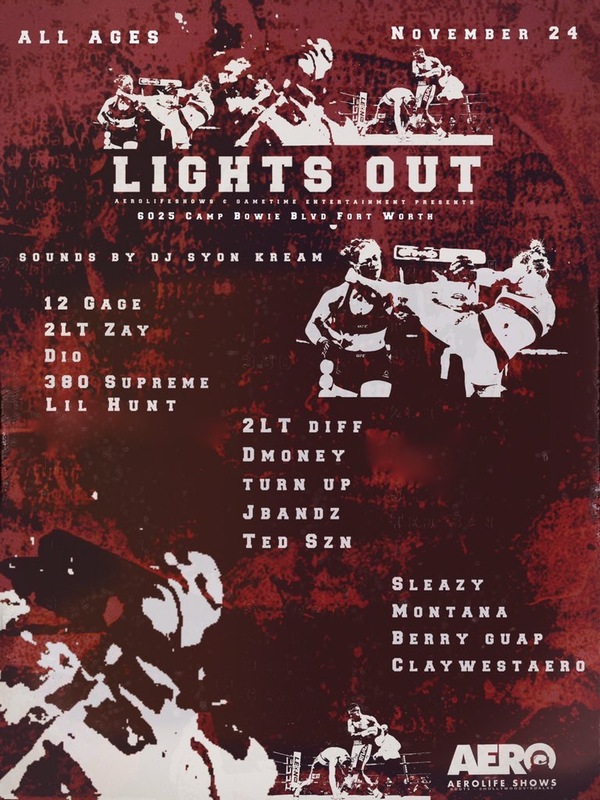 AEROLIFESHOWS x Gametime Entertainment present LIGHTS OUT! Headlined by 2LT! 12Gage, 380 Supreme, Diff, Dio & Zay! !